Many will remember the ‘comfort’ of reviewing transparencies on a light box, and comparing them with proofs and printed sheets in light booths. What simple, happy days. But how many transparencies or colour prints do we see these days; very few I think. Over the last 12 years, digital photography has taken over in both the consumer and professional areas of photography. So the computer screen has to serve as the lightbox and transparency combined for reviewing, correcting and proofing digital images and pages. So what is needed in order to turn the humble computer screen into a colour accurate viewing devise to review and correct colour? Doing these functions on a poor, inaccurate screen will cost time, money and clients! A device to measure the colour gamut (number of colours) the screen can display. Software to control this devise and then create a ICC profile for the screen, which is then used by colour management aware software, such as the Adobe CC suite, to display images correctly, subject to the gamut of the screen in use! A screen that has a wide colour gamut in order to display the RGB and CMYK colours needed in the graphic arts areas. 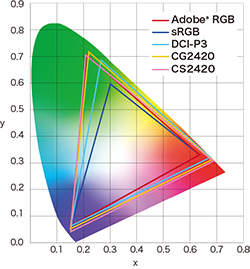 While it is possible to calibrate and profile any screen, if the screen does not have a wide colour gamut many colours, both RGB and CMYK images will not display accurately due having a larger colour gamut than the computer screen. Sadly, standard ‘office’ type computer screens will not have the colour gamut needed. They are normally based an RGB colour gamut/profile called sRBG, the standard for the Internet and close to standard televisions. These sRGB screens only display around 90% of ISO coated v2 CMYK images colours correctly and 80% of the defacto professional photographic RGB standard profile, AdobeRGB1998. So a wide gamut screen, ideally close to the AdobeRGB1998 profile and colour space is needed for this purpose. A wide range of screens is available. All are now LCD flat screens, usually with LED backlighting and hi-end IPS panels. The leading edge 4K screens will still cost a lot of money, £3-4k. However the entry level for a screen, which will cover the AdobeRGB1998 colour gamut, has reduced over the last few years. A 24” screen will cost around £500.00, plus of course the profiling hardware and software at around £150.00. This software can be used on any number of screens within the workplace. Of course, as the functions of these screens increase, so does the price, this cover areas such as better uniformity, hardware calibration that gives better quality colour, on-board colorimeters for automatic calibration and profiling, hoods for the screens. With all these extra functions a 27” screen will cost around £1,500.00. These costs are a long way from the prices of the first Barco and LeCie CRT screens in the late 1990’s costing thousands of pounds and still not covering all of an CMYK gamut. There are a number of specialist screen manufacturers, Eizo with their ColorEdge range and NEC with SpectraView. Newer to the market is the BenQ Pro Graphics range, best known for their gaming monitors. 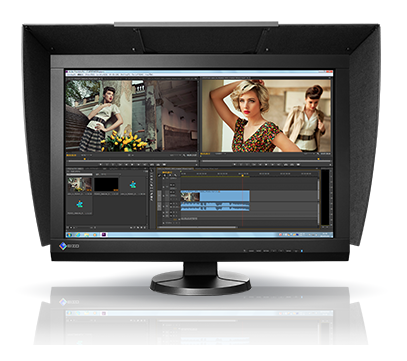 Dell also makes wide gamut monitors within their UltraSharp range called PremierColor. I guess at this point we need to talk about the Apple screens, mainly used on iMac. Up until the current iMac these have had the sRGB gamut. 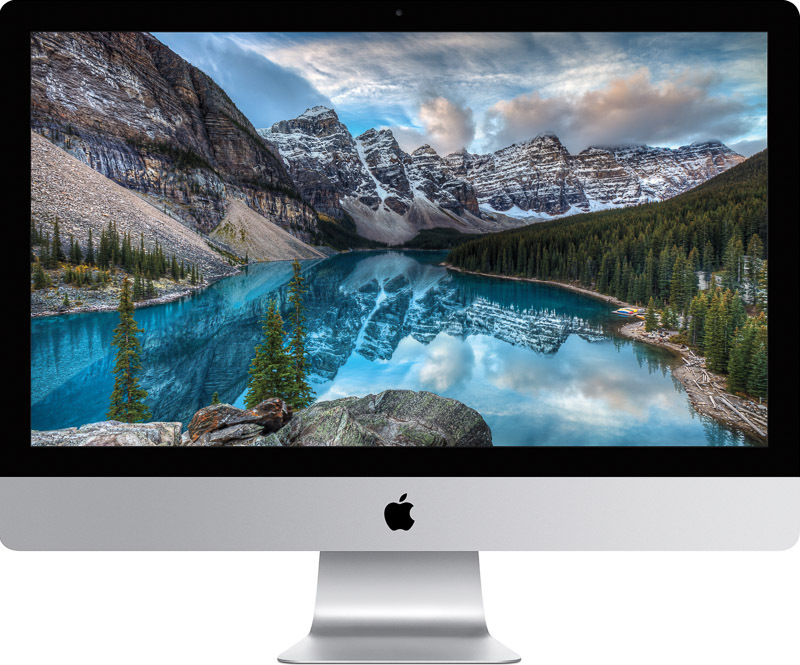 The new 4K and 5K Retina displays now used on late 2015 iMacs do have a wide gamut, however this is based on the digital cinema projector DCI P3 specification, which is a different shaped gamut to AdobeRGB1998, which most wide gamut screens use. It seems Apple and Adobe are not talking and the graphic arts world is not being considered. Still, it is much better that before, when correctly calibrated and profiled, however some greens and blues will suffer when displaying AdobeRGB1998 images. You can now choose a your screen, so just the calibration and profiling to package to go. There are a number of screen profiling packages, the most popular from X-Rite, BasICColor* and Datacolor, which combine the colorimeter used to measure the screen with the profiling software. These generally create a software calibration using the computer’s graphics card. Most are quite automated and can use the computers tools to adjust areas such as brightness. The high-end screen from Eizo and NEC use their own software, with either an ‘on-board’ colorimeter or one of the colorimeters above. They create a hardware calibration for the screen, which gives a more accurate profile. You really do get what you pay for. After setting a few parameters this is an automated process. Colorimeters are now the preferred instrument for creating display profiles for screens. 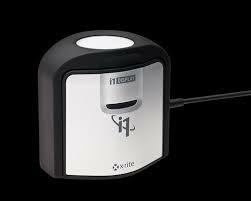 The newer models for are made for the latest LDC screens and are better then spectrophotometer for this purpose. It is difficult to give firm guidance on the software settings for creating a display profile, as it will depend on the working environment and end use. Please contact me if you need further information. *Note the BasICColor Display software needs separately purchased colorimeter.